Well, they’ve had to put the stops on the song writing and are now getting ready to drop into HRH for another jaw breaking performance. NWOBHM Vets, Girlschool are back, and it couldn’t be better timing as they are just about to go back into the studio, to lay down their next album. Girlschool have wooed the HRH loyal before but after a 3 year gap and by public demand they’re back for this one off special performance. Following the official cancellation of W.A.S.P., HRH are pleased to announce that Queensryche will be stepping up to the top slot and will be jetting in for a UK exclusive at HRH 8 this November. 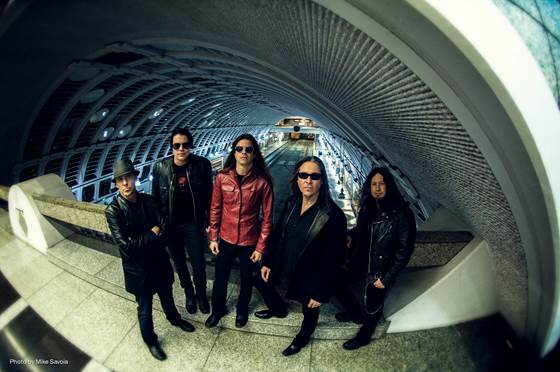 Queensrÿche, featuring Todd La Torre have recently been enjoying tremendous success performing to hundreds of thousands of fans worldwide and now can’t wait to perform their latest show in front of the HRH loyal. Queensrÿche first burst onto the music scene in 1982 with the release of their self-titled 4 song EP Queensrÿche. They very quickly gained international recognition and performed to sold out audiences around the world. With the follow up first full length album “The Warning” in 1984, and the ground breaking 1986 release of “Rage For Order”, Queensrÿche continued to prove their worldwide dominance as one of the most respected and creative bands of the 80’s. In 1988 the band turned out yet another monumental album “Operation:Mindcrime”, which would go on to become one of the TOP 10 best selling concepts records of all time, Queensrÿche have sold over 30 million albums worldwide. HRH 8 has been sold out since January and takes place in just over 40 days’ time. We’ve still got a few bits to add to what I’m sure is going to be another cracking weekend.